On this page you'll find a form for building your own custom package, a selection of package deals for staying in Hakuba. All Custom Built Packages include accommodation, breakfast, lift passes, airport transfers, and town shuttle service. 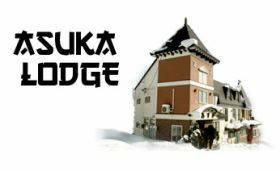 Introducing Asuka Lodge! This once exclusive private facility is now open to the public. Second Season Intro Rates!!! Book now to take full advantage of this special offer. Ski in! Only 150 meters to Happo One Adam Gondola and Evergreen Ski School. Featuring 16 rooms with Western comfort and Japanese-style charm. 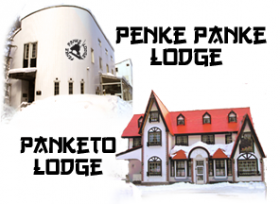 Tucked within the forest of Wadano in the former Olympic Village the popular Penke Panke and Panketo Lodges offer unbeatable location, sensible rates, cozy comfort, friendly staff and all the amenities sure to add to your comfort. When the sun goes down relax in th Penke Bar/Bistro with live music and tasty meals sure to nourish the soul.